“Boating” is ‘courtesy’ and looking out for stuff in the water. Time on the water is precious and making the most of what I perceive to be as “one of our last ‘personal areas of freedom” requires preparation and integrity from the ‘Captain’ (or ‘Skipper’) to make any outing a success. This is not a note about safe and organized boating, its just a moment for me to reflect on what has contributed to the ‘better‘ days that I have experienced on the water. When nurtured correctly a relaxed and enjoyable day on the water should occur every time that you ‘put your vessel in. 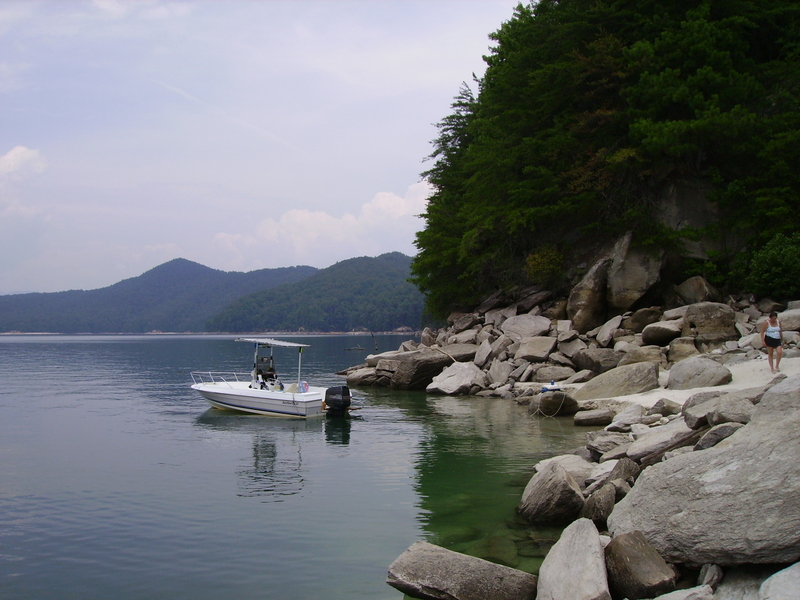 From my early years raised on the Gulf-coast of Florida to now my later years harbored inland on South Carolina’s Mountain Lakes Jocassee, and Keowee; spending time upon the water continues to bring endless pleasures of observation. 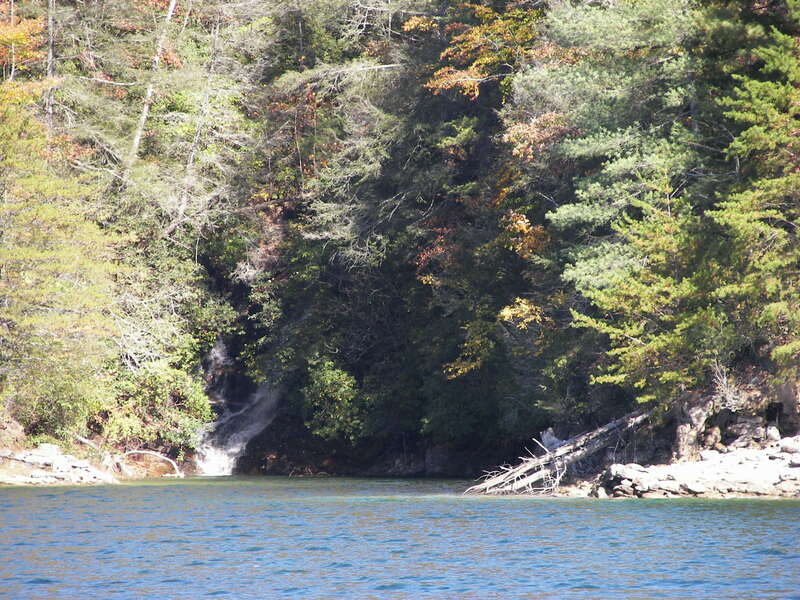 The clean freshwater lakes of Jocassee and Keowee are located at the foot of the Blue Ridge Mountains. 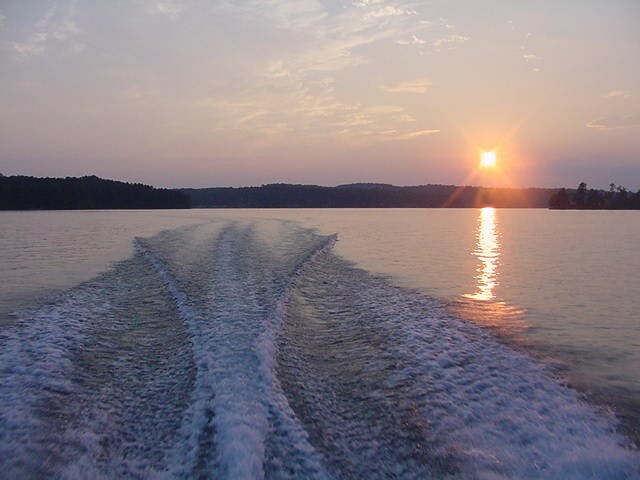 Lake Jocassee is approximately 8000 acres while Lake Keowee is twice that size and more residential – Jocassee is mostly uninhabited and federally protected. 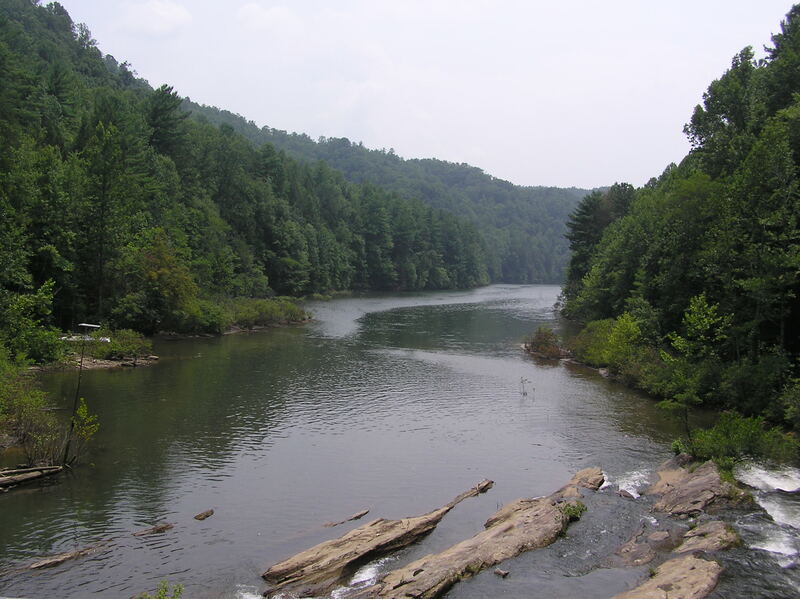 These lakes are great places to fish, camp, swim, or explore the many coves and waterfall settings available. 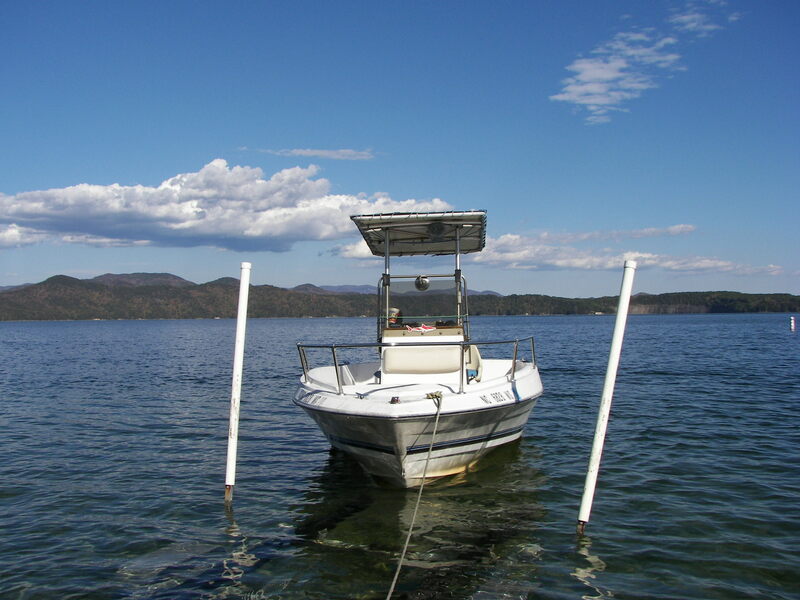 Larger vessels are about but for portability I prefer a 20-foot center console for those simple excursions – usual route; head to the far point of the lake and then slowly explore any intriguing coves and landscapes on the return. During these ventures I continue to be amused by other “boaters” – along the way I have found that “skippers” of boats are similar everywhere. 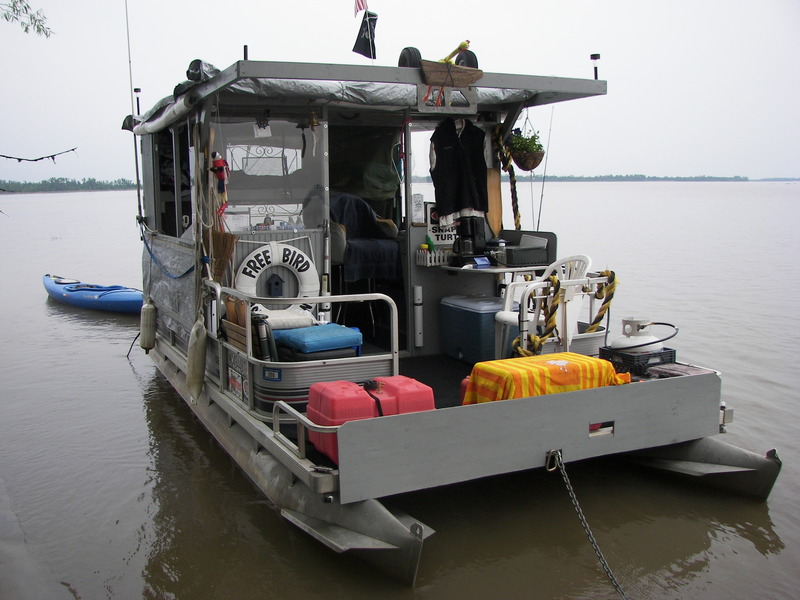 Now I may not be a better person than the folks mentioned in this post; but through the experience of observation and preparation – I just might be a better boater. Even with my own personal experience there is always something to remind me of my own imperfections – for example, today while putting my boat in alone, I watched helplessly as my tag line played out and removed the navigation light from the bow. One smooth stroke and it was gone. This kind of thing does not happen often but it helped to remind me that I am far from immune to being ordinary (I will add that the light was weakened by salt-water exposure). Boat ramps can be the most entertaining of places, normally I boat during the week to avoid the crowds but I do like to allow for plenty of time around the landings. 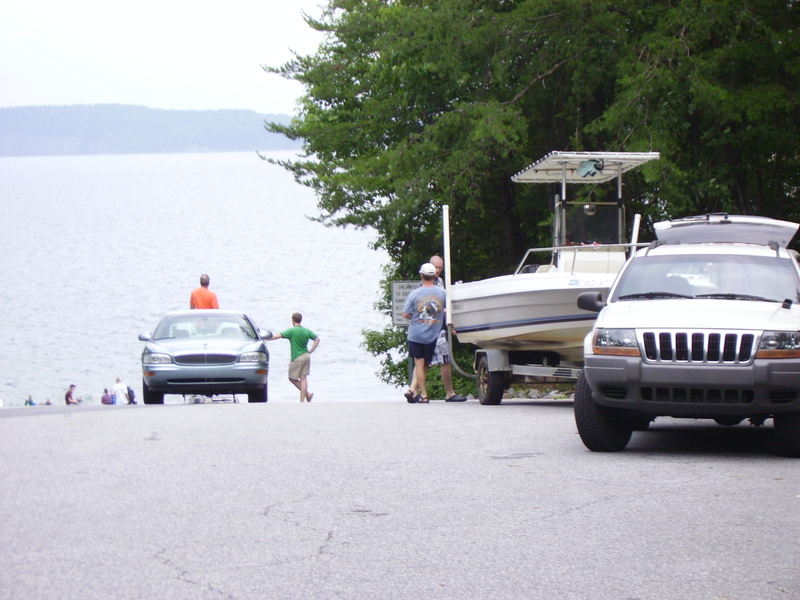 If I find a boat-ramp busy I simply watch and wait – by land or water the entertainment is amusing and cheap. This past spring I observed from a distance as a fellow arrived at the ramp with what must have been a ‘winter-bought boat. Along with him was his wife (I perceived) on what must have been their first day of boating, all the expectations were there. This fellow unloaded his boat into the water and tied it off on the ramps dock; this was followed by several laborious trips of transferring supplies from their vehicle to the boat. Finally the two settled into the vessel, the wife appeared anxious and excited for a day of ‘sun and fun’ – she exhibited a beautiful new bathing suit (nice) and patience as her mate attempted to start the boat. It wouldn’t start. With time other boats came and went, each offering assistance (must have been the suit) all to no avail. 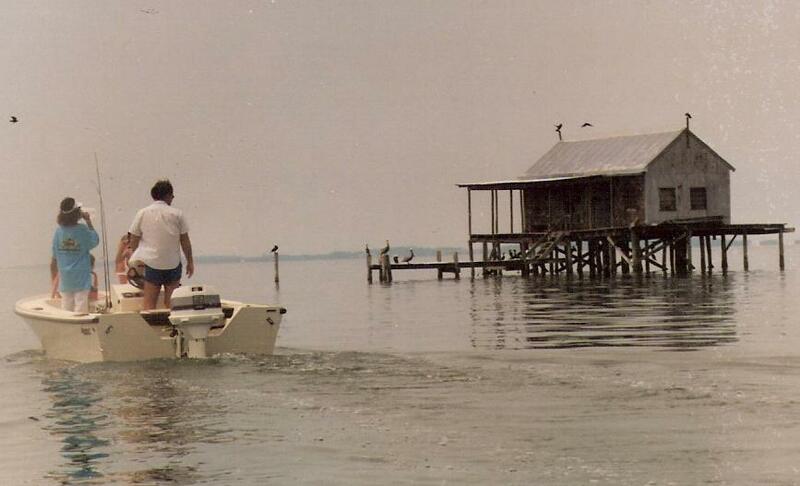 It wasn’t long before the boat was hastily unloaded and returned to its trailer – a sweater covered that beautiful new bathing suit on what I am sure was a long ride home. First impressions are important; make a maiden voyage (without those that you may try to impress) first – prepare for pleasure. Again, my usual course is to boat to the furthest point, and then slowly work my way back towards my intended lunch and evening locations. I take a fishing rod, but its just a ploy (not good at ‘catching’) mostly I observe, photograph, and enjoy the ambiance of water – the pleasure for this rebel is within the peace and the simple freedoms that boating provides. 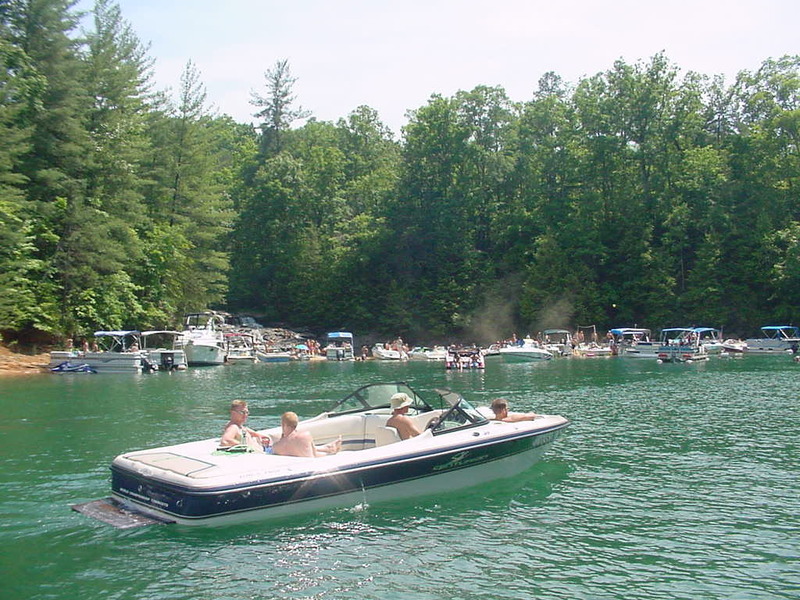 On one such visit I dropped anchor just off the sand bar so that others could access, its a nice sound as children laugh and the water splashes – other boaters are similarly anchored. A beautiful new pontoon with a Honda 130 pulls in, I notice the boat more than those aboard but there were about eight folk’s onboard running about. The pontoon was approached quickly and several well intentioned mates ran to the bow – to ‘help,’ which caused the boat to list and change course. The ‘skipper’ continued to be slow in compensating for these actions and I sensed anxiety with the other boaters at anchor. With the group aboard the “skipper” should have gently approached and beached – then allowed his guests to enjoy the setting – he was obviously out of his natural environment with this new boat. I really wasn’t sure what his idea was, but one mate requests the anchor and the skipper points to the starboard compartment where the mate pulls out a heavy ‘clump’ of tangled rope with an anchor somewhere within. The boat continues to close-in as the mate works to unravel the mess. The kids, guests, and wonderfully blessed wife (yes, I noticed her too) scramble to remove their over-clothes while abandoning the moving boat; the motor still running. Eventually, the foul line was unraveled enough to toss in, and with no idea of where his lines would become taunt and his vessel would settle; the anchor was down. As the last mate evacuated the pontoon I pulled my ‘gaff’ out to hold his vessel ‘at-bay,’ the skipper apologetically announced that he would readjust, no problem, I was at peace and very much amused. I knew too that if he would simply pick up his anchor he could easily reset it (one heave) take the slack out, and we would all ‘weather’ alike. 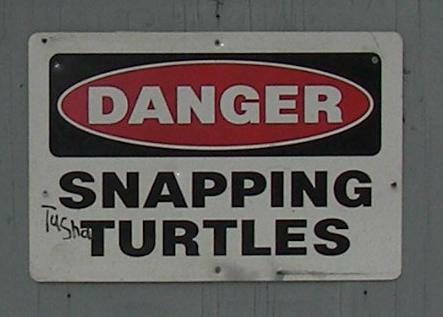 He was now alongside, so I calmly mentioned this to him. 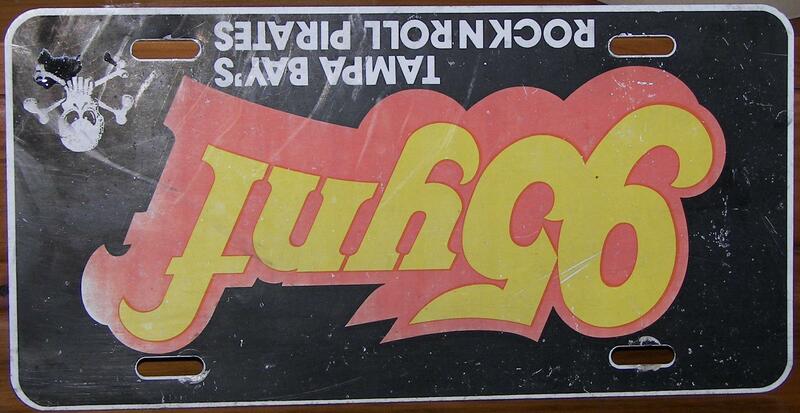 This fellow had absolutely as much a clue as he did a tan, none. He pulled the anchor in, started the beautiful 4-stroke Honda (I appreciate motors too) and made a power move quickly shutting the motor down. The “skipper” made his way back to the bow and dropped the anchor. This new position was far into the other boaters, so now he was busy apologizing to them. His helpful mate on the sandbar then requested a line to tie the bow ashore (across the sandbar, imposing on others), in which the skipper obliged by tossing a second foul and unattached line to the guest. The guest lashed the free end to a tree using a unique sort of knot and then worked back towards the pontoon tossing the remaining glob of rope to the “skipper,” whom took further time completing the entanglement so that he could pass the bitter end through his cleat and pull the slack out! Needless to say this all took time, and by the time the men got the vessel situated the ladies and kids were climbing aboard – time to get underway again. The boarding ladder (still down) splashed in the rear as they pulled away..
Another boater drifts in, this skipper drops his sea-anchor out and secures a taunt vertical line to his bow cleat. 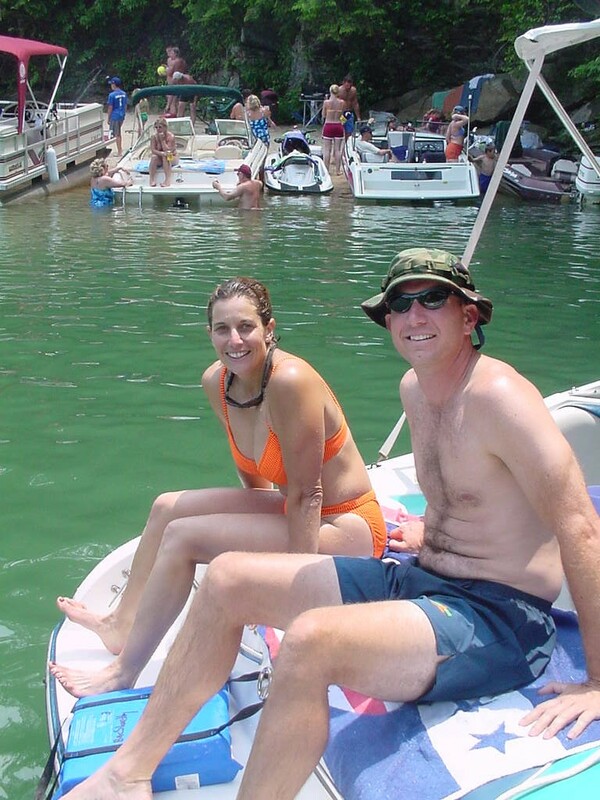 As he moves to the rear of the boat I notice that his cut-off blue jeans compliment his wife’s faded (and out-grown) ‘stars-and-bars’ suit, and soon too they are adrift into the others. These are but a few examples; as you know there are many, many more – simple amusements while boating. The truth is that we seldom notice the majority of ‘skippers’ thanks to their preparations and concern for safety in advance of their excursions. Skippers enlighten their guests early on the simple rules that make their vessel safer; and the mates that return understand his rules, after all it is his boat! 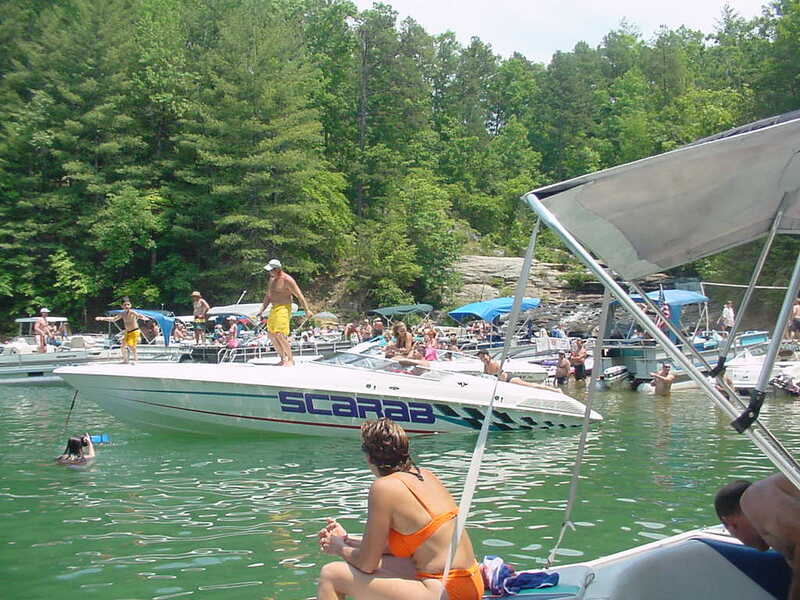 True boating is aimed at providing a safe and courteous environment to others, and having that courtesy returned. I have gained much from my own errors while observing my buddy Al, a special skipper that is painfully dedicated to preparing and organizing his vessel. When done right, the maintenance of ones vessel may never be recognized by ordinary guests. In my small boat I appreciate that guests want to help; but many times request that they remain in place as I carefully approach dockage; this way I can hopefully leave them in awe as I gently glide into the slip. In the summer I request shoes off, room is limited and struggling around objects scattered about the deck is unsafe. I also secure my own anchor line so that if a mate asks – the line is seldom foul. They can call it cantankerous if they like, but I consider myself a boater that has not yet earned the title of Skipper; of which I am working towards.